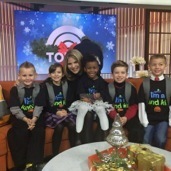 self–esteem drops 3.5 times more than boys’. and what happens when we encourage our girls to raise their hands, sit at the table and lean in. A 70mph fast ball? Now that’s throwing like a girl. 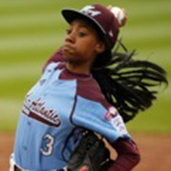 It’s another W for Mo’ne Davis as she is named ESPN’s Sports Kid of the Year. 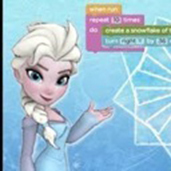 In Code.org’s one-hour activity, you will learn to write code to help Anna and Elsa create snowflakes and magical “ice craft,” while also learning logic, math and cultivating creative confidence.